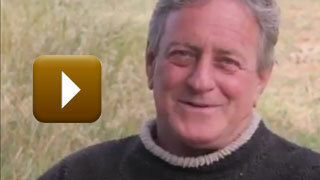 Tom Brown, Jr. has to be the most well-known tracker and teacher of wilderness survival skills in North America. Through his tracking/ awareness school, he has taught thousands and thousands of people while writing numerous books on the “science and art” of tracking. In 1981, John Stokes attended Tom’s school and the two became great friends. 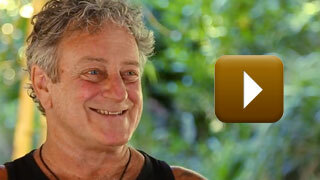 Inspired by these classes, John carried Tom’s teachings back to Australia that year. In 1984, John brought the tracking knowledge of Aboriginal tracker Jimmy James back to the Tracker school, assisting with Tom’s classes for the next two years. He also initiated outreach to Haudenosaunee (Iroquois Confederacy) and other Native American communities. 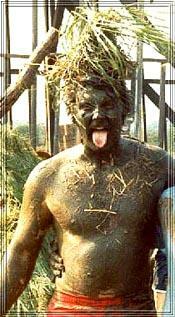 In 1981, John Stokes and Kevin (Dookie) O’Loughlin traveled to the Gerard Mission in the Riverlands of South Australia to invite Uncle Jimmy to the Aboriginal Community College to demonstrate his skills for the students. From this meeting until his death (and especially in the years 1981-’84 and 1987) Uncle Jimmy and John remained close friends, traveling together all around the state of South Australia. Jimmy introduced John to many traditional arts, including tracking, hunting and the making/throwing of boomerangs. 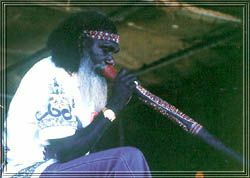 Wandjuk Marika, one of Australia’s great Yolnu (Aboriginal) statesmen, artist, religious leader, poet, singer and dreamer, died in 1987 and in accordance with Aboriginal protocol, his name, words and image were closed until 1995. 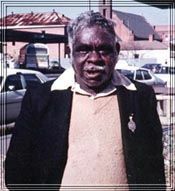 John Stokes met Wandjuk in 1979 during the years he served as the Chairman of the Aboriginal Arts Board. Over the next four years, Wandjuk shared many teachings about the yirdaki with John. Michael, an Aboriginal Community College student from Halls Creek, West Australia, began to work with John Stokes in 1977. Over the next two years, he shared many things, teaching John many traditional songs and dances as well as how to play the yirdaki (didjeridu). In 1979, John brought the yirdaki to the United States and shared Michael’s teachings with the music community. Parley Jansson Kanaka’ole—poet, musician, teacher, chanter, farmer, healer, fisherman – was a distinguished Hawaiian spiritual leader and cultural presence. From 1979 until his untimely death in 1993, he worked at the Hana High and Elementary School, where at the time of his death he served as vice principal. A fluent speaker of the Hawaiian language, he was extremely active in the Hawaiian cultural movement. John met Parley in 1989 while working at the Hana School. Parley became his teacher of Hawaiian language and culture, encouraging John to work with the spiritual movement in Polynesia. Parley joined The Tracking Project‘s Native network, bringing John and a team of Indian elders in on the healing ceremonies for the island of Kaho’olawe in 1992 and attending a gathering of Native elders in New Mexico in 1993 prior to his death. Parley continues to have a tremendous influence on the programs of The Tracking Project. Renowned poet Gary Snyder and Japanese poet Nanao Sakaki traveled to Australia in 1981 for Poems of Land and Life, a six-week tour of urban and outback Aboriginal communities organized by John Stokes. The writings of Gary and Nanao following this tour helped raise consciousness of the Aboriginal Australians on the international scene. Gary also introduced John to the bioregional movement and asked him to attend the First North American Bioregional Congress in Kansas City in 1984. Gary and John continue to correspond and collaborate. Jake, a traditional Ganienkehaga (Mohawk) from Akwesasne, New York served as a royaner for the Wolf Clan for 30 years. He was involved in many Native activities over the years, including Wounded Knee, Ganienkeh Land Reclamation, the Longest Walk, the Bureau of Indian Affairs occupation, the Fourth Russell Tribunal in the Netherlands and as a delegate to the United Nations in Geneva, Switzerland. In addition to sitting on the Grand Council of the Iroquois confederacy, he held numerous positions within the community at Akwesasne. From 1984, he traveled extensively, planting trees for peace and educating people on the culture and contributions of the Six Nations confederacy. He was the Director of the Tree of Peace Society and the author of Giving Thanks: A Native American Good Morning Message (Lee & Lowe Books, 1995). While working with the Mohawk newspaper Akwesasne Notes, John met Jake and the two began working together in 1985. From that time until 2005, Jake served as a mentor for John, teaching him about the culture of the Haudenosunee, including the Thanksgiving Address, the Great Law and the Great Peacemaker, as well as issues of international protocol. For many years, they blended their projects, traveling together with a program of natural and cultural awareness they called Tracking the Roots of Peace. Jake’s message of peace, his vision of the youth of the world coming together through the words of Thanksgiving and his ceremonial knowledge continue to shine through the work of The Tracking Project. In 1985 John Stokes joined legendary Mohawk teacher and storyteller Ray Tehanetorens Fadden for a series of wilderness camps at the Six Nations Indian Museum in Onchiota, New York Ray had founded the museum many years before in his work to preserve and honor the cultural heritage of the Onkwehonwe, the Original Peoples, and pass them on to the youth. John and Ray remained friends for many years, sharing many adventures with the numerous black bears and other animals that lived in the woods around Ray and Christine’s house. 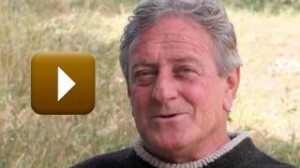 He taught John how to “talk to bears” and helped shape the early camps of The Tracking Project. His books include: Legends of the Iroquois, Wampum Belts of the Iroquois, Tales of the Iroquois (2 volumes), and Credit Where Credit is Due. 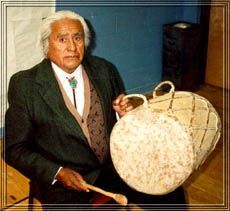 Dignified Pueblo artist, drummer and educator Jose Rey Toledo was a man of great wisdom. He lived with his family in Jemez Pueblo in the Jemez mountains of New Mexico. In 1985, while making a bowdrill fire at an Albuquerque elementary school, John met Jose Rey. Jose inspired the turtle image which serves as the logo of The Tracking Project and shared a tremendous wealth of knowledge regarding Pueblo life with John over the next ten years. From 1987 – 1993, he traveled with The Tracking Project‘s Arts of Life team, visiting Native day schools in New Mexico and Arizona. Toshiko is recognized as one of the world’s finest ceramicists and in 1987 was designated as one of the living treasures of Hawai’i for her achievements as an artist and educator. 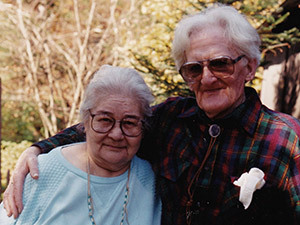 John Stokes met Toshiko in 1971 and began to study pottery with her. She helped John to see the connection of artistic forms with Nature. John and Toshiko continue to meet annually in Hawai’i, collaborating on exhibits and talks for the community. Well-known Aboriginal activist Georgina Williams, a Kaurna/Narrangga descendant from South Australia, met John at the Aboriginal Community College. Between 1978 and 1984, she shared a wealth of knowledge with him regarding the Aboriginal community and strategies for implementing successful programs with grassroot indigenous people. She directed him to work with the youth and establish bridges between urban and outback groups.